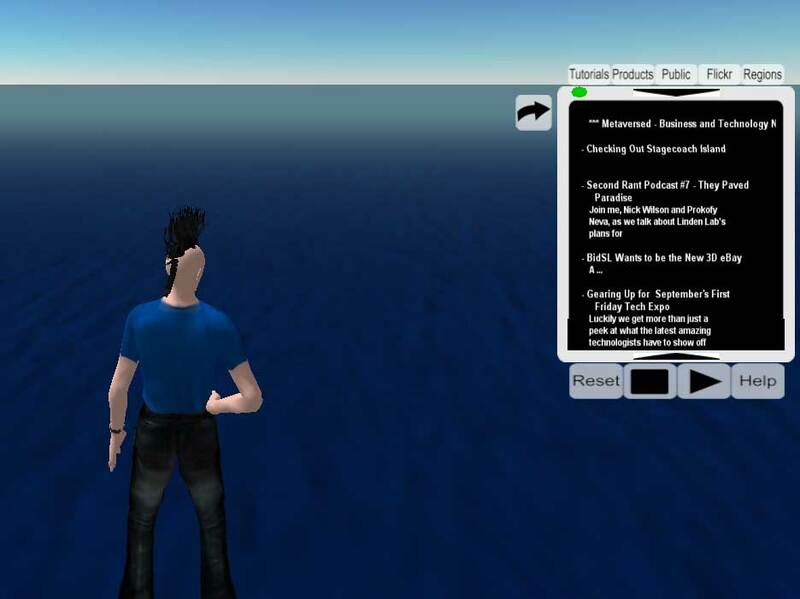 Reisman summarizes SSS for those interested techies: SSS consists of a back end that takes care of interfacing RSS, HTML, etc into a stream that can pass into SL, and an ‘in-world’ server that manages the various streams. This allows the client terminals (such as the vHUD) to simply request content without that terminal having to be owned by the landowner or even caring what media calls are required. Since the owner of the terminal doesn’t have to be the landowner, they retain full control over what content is served based on how they configure that particular terminal. A single SSS server on a Sim can handle requests for any terminal in that Sim regardless of the owner of the terminal, server, or the land.